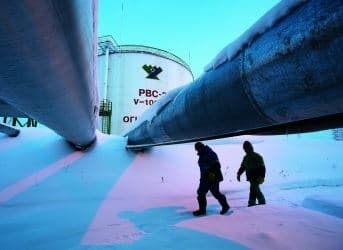 Gazprom has agreed to grant the Ukrainian government a six-day extension on its multi-billion dollar natural gas bill after Kiev agreed to a partial payment on May 30. Russia had previously issued a June 3 deadline for full payment of $3.5 billion in outstanding gas charges, but Moscow pushed back the deadline until June 9 after the Ukrainian government wired an initial $786 million. The payment has contributed to a slight thaw in relations between the two sides and allowed them to enter into negotiations to end the standoff, albeit within a very limited timeframe. “Along with the decision to delay introduction of advance payment to June 9, Gazprom decided not to sue Ukraine’s Naftogaz at Stockholm international arbitration court for this period of time,” Gazprom’s CEO Alexei Miller said. Ukraine is pushing for a return to the discounted price it received from Russia for natural gas before the ouster of former President Viktor Yanukovych. Beginning on April 1, Gazprom decided to increase the natural gas price it sold to Ukraine from $268.50 per thousand cubic meters to $485, a nearly doubling of the price. Ukraine has criticized the move as politically motivated. Moreover, Russia has demanded Ukraine prepay for gas imports, but suggested that it would be open to compromise if Ukraine paid off its debt. “The Russian side would be ready to look into the resolution of the pricing scheme issue through cuts in exports custom duty,” Miller said, according to Reuters. While the two sides inched forward towards an agreement after Ukraine sent its initial payment, it is hard to imagine how they can arrive at a resolution. Russia has shown almost no sign of willingness to return to Yanukovych-era prices, and Ukraine almost certainly cannot pay the prices demanded by Moscow. Now that the government in Kiev is headed up by decidedly pro-Western nationalists – a development confirmed by the election of Petro Poroshenko – the Kremlin has seemingly embarked upon a strategy of destabilizing Ukraine. It has quietly supported armed pro-Russian separatist groups in eastern Ukraine in an effort to zero out any influence that Kiev once had there. With both sides digging in, Ukraine is descending closer and closer to a full-on civil war. Last week, pro-Russian forces claimed that 30 to 35 separatists were killed in clashes with Ukrainian military. On June 2, pro-Russian forces struck back in Luhansk, as hundreds of militants attacked a border checkpoint set up by Ukrainian border guards. As the violence escalates, Russian Foreign Minister Sergei Lavrov has vowed to bring a resolution to the United Nations Security Council on June 2 that calls for the creation of humanitarian corridors in eastern Ukraine. The outlook is not good. Ukraine’s partial payment for natural gas deliveries contributed to a minor improvement in relations between Kiev and Moscow, but the next steps are much harder. The two sides are far apart on permanent agreement over prices. But more importantly, the country is being ripped apart by militias on both sides and there are few reasons to believe that Poroshenko will be able to reunite the country. Nationalists in western Ukraine will not stop until pro-Russian forces are completely pacified and defeated, and Russia and its supporters in the eastern provinces are completely unwilling to recognize the government in Kiev. For now, the two sides are placing their hopes on gaining leverage through armed conflict. Every time you blame Russia. But you never analyse the role of U.S. in this crisis (Joe Biden, director's CIA visit... For sure the were talking just about nice Ukarnian girls! And Joe Biden's son has nothig to do to Ukranian gase company...). I kindly ask you to tell the story to U.S. readers, please!